Here at CES 2019, NVIDIA officially broke it’s silence with two important announcements. The first was the unveiling of its mid-range GeForce RTX 2060 graphics card. While the second piece of news was the unveiling of its new GeForce RTX-powered notebooks. Specifically, the GPU brand will be releasing a total of 40 new model, all powered by mobile variants of the Turing GPU architecture. Of the 40 models, 17 of them will be designed around NVIDIA’s Max-Q Design power efficiency model. Which the brand announced back in 2016. Thanks to Jen-Hsun Huang, CEO of NVIDIA, we now know three notebook models and their affiliate brand that will be shipping out RTX-powered notebooks. This include MSI’s GS65 Stealth and Gigabyte’s Aero notebook, both of which sport an RTX 2080. 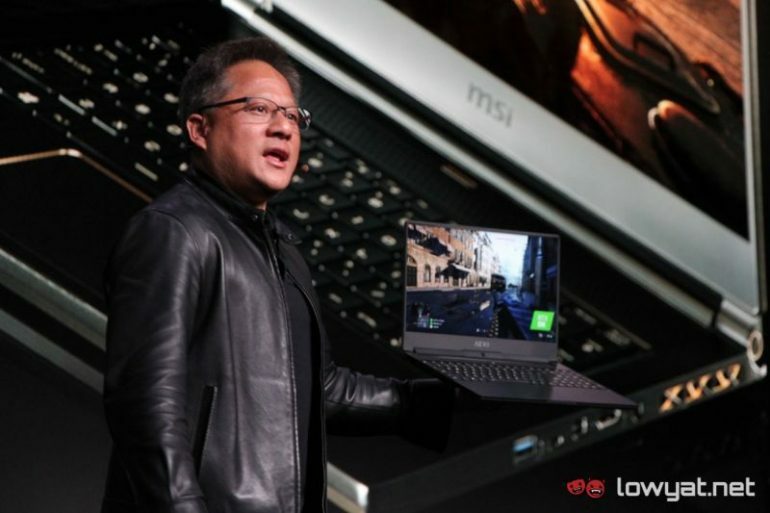 Both of which he touted as (obviously) having more horsepower than a PS4 Pro, as well as better performance than a previous generation gaming notebook with a GeForce GTX 1080 Max-Q. 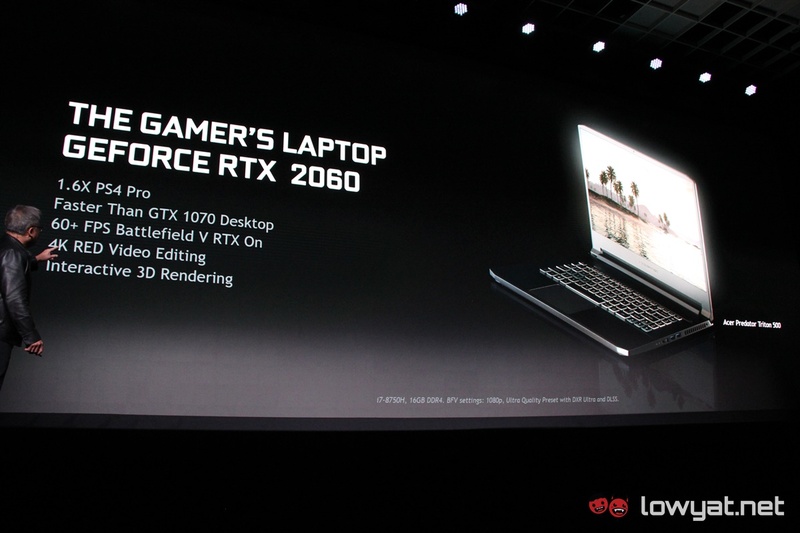 Huang also mention Acer’s Predator Triton 500 gaming notebook as well, although that particular model was fitted with a mobile variant of the RTX 2060. Beyond that, Huang gave no further information or performance numbers of the notebooks. As luck would have it, however, we’ve got writers on the ground at CES 2019, and we’ll actually be getting a chance to play around and probably do a hands on with one or two of these notebooks. 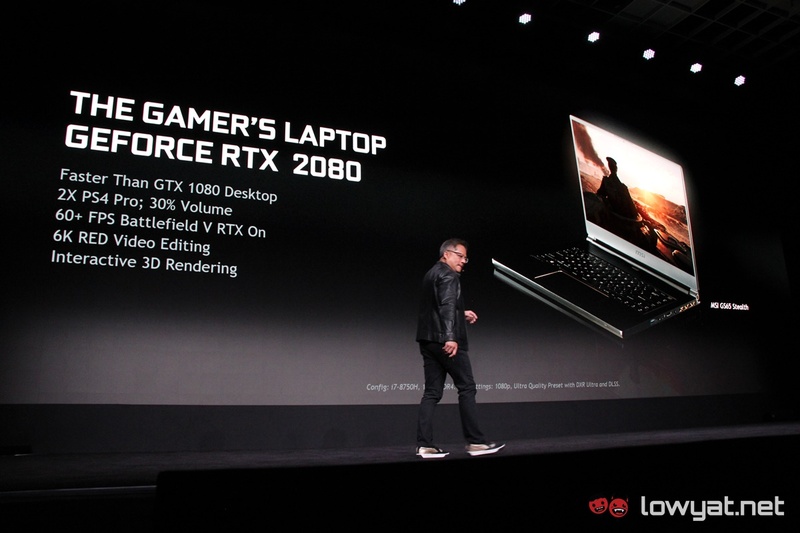 As for availability, Huang says that the new GeForce RTX-powered notebooks will be available beginning 29 January onwards.